When I use the word “detox” I mean a scientifically designed medical detox from sugar, and all things that turn to sugar. The fun part is that it’s done simply by taking out the bad stuff and putting in the good stuff…lots of good stuff. Maybe I should call it The Feel Good with Good Stuff plan! 1. You have FLC Syndrome: Feel Like Crap. 2. You can’t lose weight and keep it off (you want to fit into your jeans). 3. You can’t control your sugar and carb cravings (you may be suffering from food addiction). 4. You never have detoxed. 5. You need a STAYCATION. All of us stray from living in a way that supports our health: too little sleep, too little exercise, too much bad food, too much stress, not enough time for ourselves. 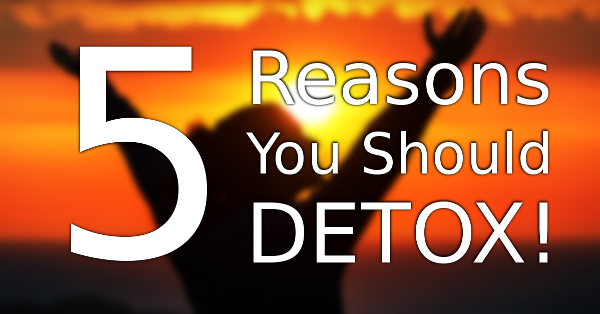 The best way to reset your life is a 10-day detox. Simple, delicious foods. No toxins or drugs, by which I mean sugar, flour, processed foods. Self-nurturing practices: deep breathing, sleeping 7-8 hours a night, a little exercise, self-love. All this works to get your body and mind back to their original factory settings—and quickly! Next post: Why You Should Avoid These Foods? Previous post: What Happens When You Eat Garlic On An Empty Stomach?